Welcome to Coffee with Marci. My mission is to bring entrepreneurs and non-profits a voice and today we get to hear from Jann Catto from TLC Mediation. Welcome! Thank you. It’s so nice to be here. We are live here in Wycoff. I want to talk to you about what you do and what TLC Mediation is. 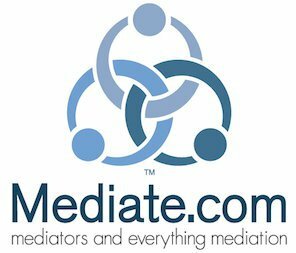 What is mediation, exactly? As a divorce mediator, I help couples come to the terms of their agreement of their divorce. There are a lot of areas that need to be decided. What’s going to happen with the children, where they are going to be living during what parts of the week, how things are going to be paid for, how they are going to be dividing assets and liabilities and I work with the couple to help them to come to all those agreements. Why would you have divorce mediation over having a lawyer? I really think that everyone who is considering divorce should try mediation first. It will be the most private, fastest, least expensive way to get divorced. You are paying one person their hourly rate to come to the terms of your divorce. In the divorce process in general, whether you use litigation attorneys or you use collaborative divorce or you use mediation, all of these are efforts to help people to come to the terms of their agreement. So if you are using lawyers and bringing in specialists, you are paying all those people their hourly rate. Whereas if you use one mediator to help you come to the terms of your divorce, you are paying that person their hourly rate and the whole thing can be much faster. But besides being faster and cheaper, I also think that the whole philosophy with my approach is that it’s not judgmental, once they’ve come to me, they’ve decided ok, this is not working, they want to get divorced and the focus is not on what happened that made the marriage not work, the focus is on how can we get you both to a place where you are going to be as comfortable as possible and have your lives with your children as comfortable as possible once your’re divorced. If they go through you, they don’t need a lawyer? They do need a lawyer. I am not an attorney. My background is that I was a therapist and I’ve been a financial planner for 15 years. It’s kind of unique in mediation in that I have a lot of background in finance and insurance so I’m really knowledgeable about what they are trying to divide and how they are going to deal with their liability. But it is a legal process, so at the end of the mediation, at any time during the mediation, to consult with a matrimonial attorney. Some people have a lawyer on the side throughout the process. They’ll call them and say “This is what we are discussing in mediation, this is what I’m thinking of agreeing to. Do you think this is good for me?” And some people don’t speak to an attorney at all until the end. So when we get to the end of the process and I draw up what’s called a Memorandum of Understanding, which is a summary of the agreements that the couple has made, it’s not something they sign. It’s not a legal document. I send that with them off to review attorneys. I also put together a balance sheet which is a list of all their assets and liabilities that they have so that the lawyer can pretty quickly get an idea of the situation. This is what you have, this is what you’ve agreed to in terms of how you are going to do your parenting time, what you’re going to do with your money. When you go to your review attorney, they go to two separate ones and the attorney is really representing them and looking at it from their rights. With me, I’m a neutral facilitator. I’m not on anyone’s side. I’m just trying to help the couple come to the terms. For the remainder of the content of this interview, please watch the video embedded above in this post, or view it on youtube https://youtu.be/AxpnAQf8UAg.